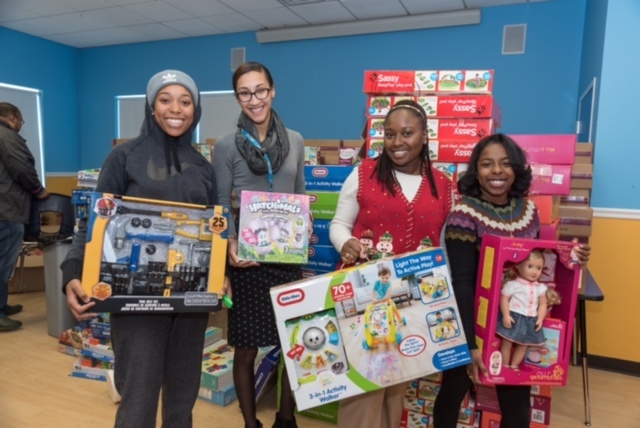 Members of the ABCD Toy Drive team (L-R): Cyndi Burton, Bianny Suncar, Monee Neal and Takayla Isler. To give to the ABCD Toy Drive, call us at 617.348.6559 or visit bostonabcd.org/toy-drive. Learn more about our Winter Fund, and more than 50 programs to empower underserved children and families, visit bostonabcd.org.